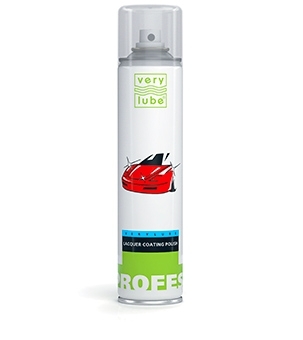 Product designed to take care of the lacquer coating of a car. Effective product for cleaning and polishing lacquer coatings of a car. Used universally both for ordinary glossy lacquer coatings and for metallized enamel (metallic lacquer). Used both for new and faded surfaces. Refreshes and gives deep shine to lacquer coatings. Smoothes out minor surface irregularities. Provides antistatic properties of the surface, prevents dust deposition. Preserves lacquer coatings and provides long-term protection from environmental attack. 2. Spray a small amount of the product onto the clean dry surface.